Drive to the trailhead at Sunset Beach Road in Warrenton. This location is west of Hwy 101 about halfway between Warrenton and Gearhart, OR. Depending on traffic it may be easier to drive from Portland north on I-5 and then drive to Astoria from Longview, WA. From Astoria, drive about 9 miles south on Hwy 101 and turn right onto Sunset Beach Road. Follow the road straight west for 0.9 mile and turn right into the parking area. Sunset Beach Road continues past the parking area and provides beach access for vehicles. No permit needed at the Sunset Beach Trailhead and a National Park permit or Oregon Pacific Coast Passport at Ft. Clatsop. There are outhouses and bathrooms available at the trailheads as well as an outhouse along the trail. 6.7 Miles one way. Elevation at Sunset Beach trailhead is 10 feet. Highest elevation is 345 feet and the lowest elevation is 0 feet. Total elevation gain is 590 feet and total elevation loss is 580 feet. The National Park Service began planning for the trail in 1958 and the trail was finally built in 2004 and 2005 to celebrate the bicentennial of the Lewis and Clark expedition. Clatsop. In November 1805 the Corps of Discovery reached the Pacific Ocean. Having found thus completing their exploration mission. The Corps knew that there were many snowy mountain passes that wouldn’t melt out until late spring so the Corps built a temporary home on the coast. In early December, William Clark recorded that Meriwether Lewis had found a suitable location for their winter quarters with “Elk Suffient to winter on.” The completed a fortification of just fifty feet square, housing 32 men, 1 woman, a baby, and a dog. “From the 4th of November 1805 to the 25th of March 1806, there were not more than twelve days in which it did not rain, and of these but six were clear,” lamented Patrick Gass in the spring of 1806. 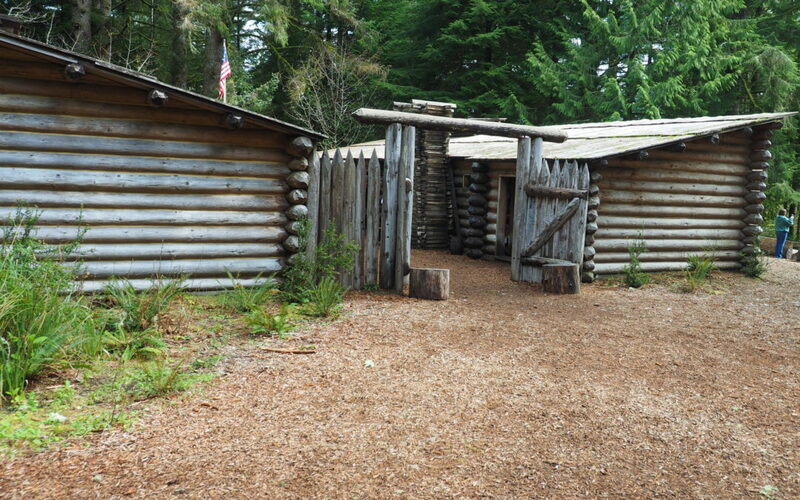 The Corps left Fort Clatsop on March 23rd, 1806. You can start at either the ocean trailhead or the Fort Clatsop trailhead. We started at the ocean end of the trail and first took the 1/3 mile trail out to the ocean. Heading from the north side of the parking lot walk through quick growing Scotch Pines. Most of the trees have sprouted up after the massive 1997 storm that laid waste to this Coastal forest. Skeletons of older trees can be seen nearby and next to the trail. The trail soon bridges a tiny little pond and then leaves the forest and goes out on the flat sand dunes. It is an easy walk across the grass covered sand dunes out to an unobstructed view of the ocean. Cars can drive on this section of beach so you may see some parked along the flat sand of the beach. Return to the parking lot and begin by heading east. Pass beneath some trees, come out across a large park-like area, and after walking for about 0.4 mile cross a small paved road. Head back into the trees for a moment then out onto another nice grassy pasture. The trail winds across the pasture and very gently climbs up and old sand dune. After about 2 miles wandering across the cow pastures you cross another road and then soon cross a little slough on a floating Bridge. Continue up a slight Hill and along the trail. In about 0.25 mile, cross under highway 101 and back into a forested area. At about 2.5 miles you cross the tiny Skipanon River and leave the pastures and enter a lovely forest of hemlock and alder with a nice undergrowth of ferns, salmonberries, and sword ferns. From here, climb gently through the lush forest. A sign at the junctions says that the trail goes through forests and reveens. For almost a mile, skirt a marshy area bursting with skunk cabbage until you cross a little stream and begin switchbacking up a well-gravelled trail. After climbing several switchbacks you reach the top of a knob which has views to the north and west of the forested valleys and the ocean. From the viewpoint the trail turns into a gravel service road which you follow down to Fort Clatsop as it winds down through a fairly open forest. There are nice views into the forest and the signs are placed fairly often to tell you about the trail and guide you to Fort Clatsop,. Just before you reach a metal gate across the service road, turn left onto a well-gravelled trail that drops down through an open forest of hemlock and cedar trees. Cross over the park road and after about 100 feet turn right at the next trail junction and walk a short distance to the visitor. Take time to explore Ft. Clatsop and the visitor’s center. 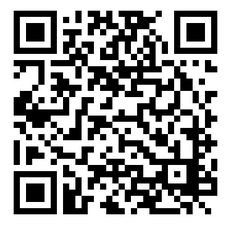 This hike is great for children and pets. Always keep pets on leash so that they don’t chase cows, deer, elk, or other dogs.